AnOther Magazine has teamed up with Colette for a collaborative project called ‘Off The Page’, featuring a few of their favorite brands and designers. 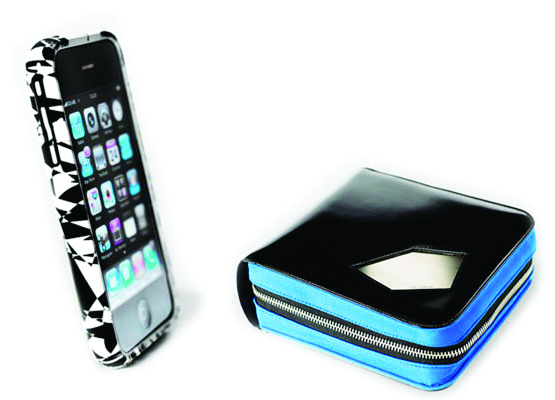 Peter Pilotto created a new print for an exclusive Mismo bag, Gareth Pugh reinvented Incase’s MacBook sleeve and iPhone shell with an ultra-graphic print, Raf Simons made a CD/DVD case and covered it in black leather and neoprene, and Colette created a candle inspired by the smell of freshly printed paper. The collaborative product is now available at Colette.